Are you looking for the Cruise Night in Somerville New Jersey? Somerville Cruise Night is entering into its 29th year contending for one of the largest cruise nights around. 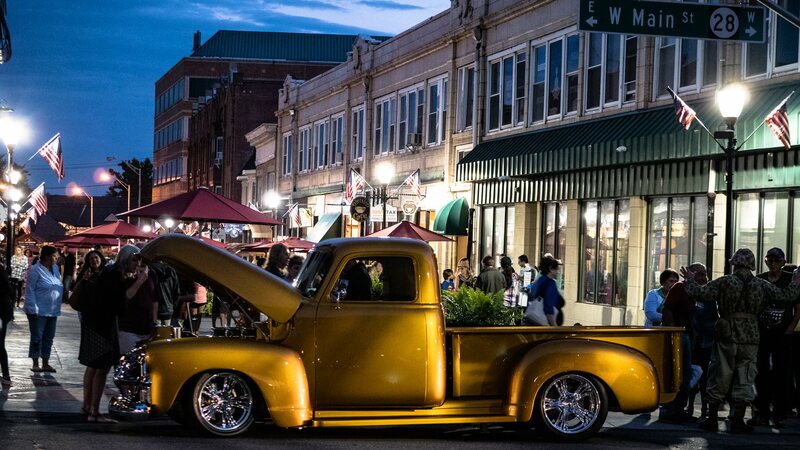 Classic cars, custom cars, new cars, and all kinds of rides, projects, and cycles up and down Main Street every Friday Night during the summer featuring live music, shopping, ice cream, food, drink, and so much more. Each year from Memorial Day weekend to Labor Day weekend Friday night in Somerville, New Jersey is the place to be. Visitors from the tri-state region flood the streets and shops while the humming sounds of small and big block Chevys or cammed up Fords roll up and down the strip rumbling through the town. From North Doughty Ave to Grove Street up and down Main Street come out and see the show every Friday during the Summer in Somerville, New Jersey.